Today has been a hectic day. I, Gustav, arrived at lunch and immediately joined David and Mikko in the preparations for the drop test which had been moved to tuesday due to bad weather today. There where some smaller errors in the test FFU´s however we’ve now compensated for those and are ready for the test tomorrow. Since it’s a bit to late for a longer update today I promise that we’ll maker a longer follow up later on with more details around the preparations as well as the outcome of the test. But for now wish us good luck for tomorrows tests. In technical projects it is always important with documentation. Many people are involved and the only way to know what’s really going on is to make sure everything is down in writing. This is especially true in the aerospace industry, where the technical systems are very complex and the machines may never be reachable for an inspection. One of the best examples of this is the development of the Airbus A380; all the documentation produced during development, if printed out, would weigh more than the plane itself! 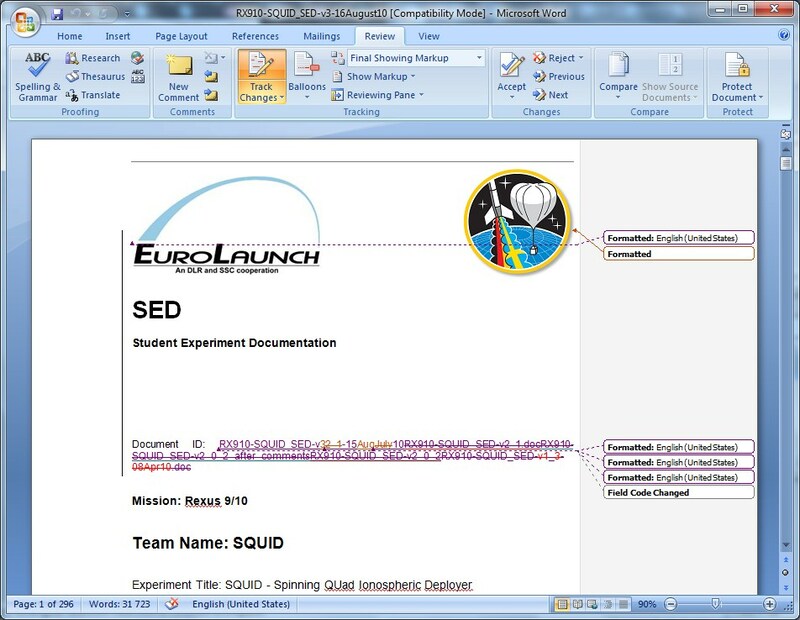 In a REXUS project like SQUID, we mainly deal with three kinds of documentation; Meeting minutes, checklists during the launch campaign, and finally the Student Experiment Documentation, SED. The SED is a document which describes the whole experiment and the team and organizations involved in it. It details the hardware, the software, the team, the planning behind the project, the procedure at launch,the outreach/PR activities and all the tests and processes during the development. The document is updated constantly, and new major revisions are produced and sent in to the REXUS/BEXUS group at ESA 5 times during the project. Our latest version can be found just a couple of posts down! Version 1 is sent in for the Preliminary Design Review (PDR) in January. It details the preliminary design of the experiment, and states the objectives and requirements that are to be met. 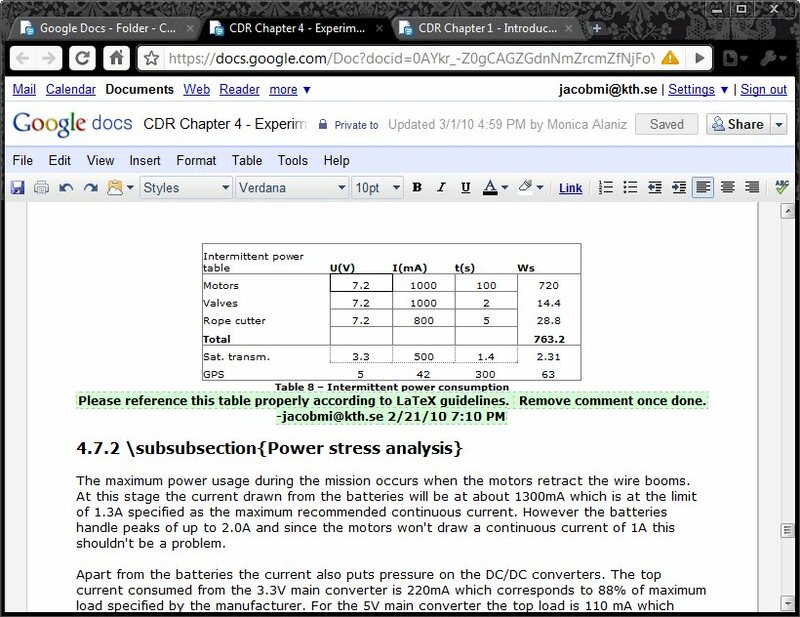 Version 2 is prepared for the Critical Design Review (CDR) in June. The requirements and objectives are already fixed, and focus is on producing a detailed design of the experiment for manufacturing. Version 3 is written for the Integration Progress Review (IPR), which usually occurs 6 weeks after the CDR. Focus is on addressing the issues raised during the CDR, and adding more information in preparation for the launch campaign. This is the step SQUID is currently at. The document, with all report appendices and schematics, already weighs in at over 350 pages! Version 4 is submitted a couple of weeks before the launch campaign when the experiment is shipped off, following the Experiment Acceptance Review. Finally, version 5 is sent in 3 months after the finished launch campaign. Here the results and any lessons learned are documented. But how does a team of almost ten people manage to work together on a single document? Well, we’ve gone through a couple of different methods. Google Docs: We started off using this web word processor, which had some advantages; No program installation was needed, everyone was always in sync, a few people could work on the same document simultaneously, and commenting could be done in real-time. However, the hassle of having to copy paste and reformat all the text into the SED template Word document was way too much for each new revision, taking several hours even when the document was much shorter than it is now. It also requires a working internet connection, and this was not always the case, especially when team members were travelling. 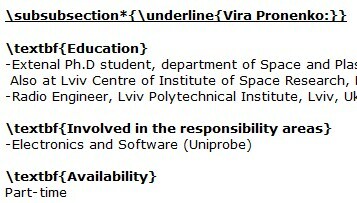 LaTex: This is quite a different way of writing documents, more akin to programming than traditional word processing. It’s easy to use templates and numbering of figures, elements and references is automatic. It’s also easy to merge changed documents together when collaborating. The generated documents also look very good. However, we never got around to adding all the formatting code and such to our previous versions. Word & Dropbox: We ended up using the merge feature of Microsoft Word, combined with sharing folders in Dropbox. That way the individual word documents are always up to date. It’s not as easy to comment anymore, but this isn’t as important now that everyone has a pretty good idea of their respective areas. However, as Mario can testify, merging is far from flawless! So, if you want to know everything that’s worth knowing about SQUID, just have a look in the SED. SQUID special forces test team has news for you all out there!! After some hectic days of manufacturing parts for the landing system we finally have the target in sight. Attached to this status update is a video where you can find all the attempts performed tonight. Everyone has been working like being in a military bootcamp and the results are finally showing. Our top plate ejection system test can be considered a huge step forward for SQUID as the tests have proven that the design we’ve derived is in fact working in the test setup used. Next mission is to once again infiltrate the workshop and continue to push through in manufacturing all parts needed for the drop test. Lots of tests and late nights are awaiting us but we will push through to the final end and see to it that we finish our mission successfully. So right now we’re in the middle of preparing our selves for the drop test which is to be taking place next week in Kriuna. In the mean time please check out our documentation which where finished last night. The SED, as it is called, covers the whole experiment including background, planning, design, tests and more. So if you’re interested in how our experient works, please check it out! So after have received the PCBs, the exciting tas of soldering started…we have 11 PCBs to solder…but for now 3 of them are critical to test and specially to be tested during a helicopter drop test that is coming in the next weeks. It is worth to let you know that the challenge in this soldering is to handle the components..becuase they are so tiny that any false movement and they will fly and never see them again, specially the resistors and capacitors.. the ones we were used are case 0603 (1.6 mm × 0.8 mm).. In the next part I will show you the PCBs as I showed some posts ago …and how they look now. It´s now time for me to give you a short summary of the work that has been done concerning the Radio beacon. But I’d first like to give you a motivation of why the beacon is so important for those of you who need a short reminder off the construction of our experiment please take a short look at Så vad är det vi ska göra egentligen? / So what’s all this about then? (please note though that we’ve changed from airbags to parachute for the landing system). Since all the data that will be recorded after the FFU has separated from the RMU will be stored onboard of the FFU it’s a primary objective to be able to find the FFU after it has landed. To track the FFU two different systems has been integrated into the FFU. The first system is a GPS which receives the current coordinates of the FFU while in flight. The coordinates are then transmitted through a satellite modem and are then received through a web interface. The second system is the beacon transmitter. A beacon transmitter is a consists of a simple radio transmitter who transmits a signal in an devoted frequency. This signal can then be tracked by a simple receiver. The tracker/receiver consists of a simple radio receiver working at the same frequency as the transmitter and a simple analog meter displaying the strength of the received signal. By pointing the receiver antenna at different directions is simply its possible to track in what direction the transmitter is located. 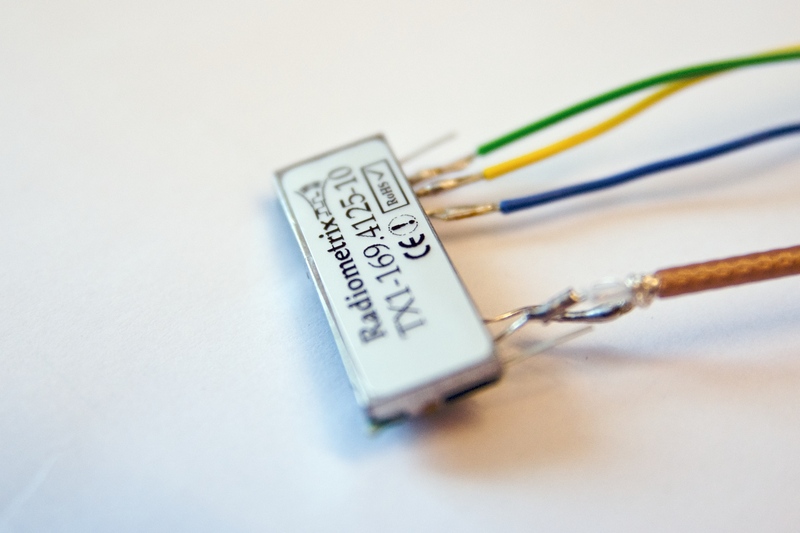 In practice the system used by SQUID consists of the TX1 transmitter from Radiometrix. The transmitter makes use of a simple quarter wave whip antenna (which in reality consists of a stripped coaxial cable). For the experiment the beacon will be sitting within the eBox while the antenna is attached to one of the parachute ropes. The transmission is done over 169.4125 MHz and is then received by the receiver. 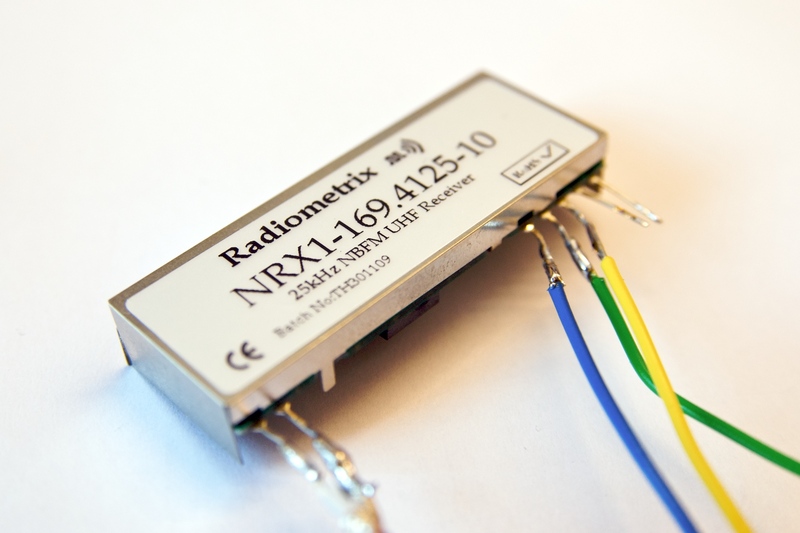 To test the transmitter function a NRX1 receiver, from the same company making the transmitter, has been bought. This transmitter will be integrated into a simple circuit. The idea is to make use of the Received Signal Strength Indicator (RSSI) which is provided by the receiver. The RSSI works by providing a voltage on one of the legs of the receiver which varies depending on the strength of the received signal. The circuit will consist of battery holder, power switch, the receiver, analogue current meter and a receiver antenna. The analogue current meter will be connected to the RSSI pin and will vary by the signal strength of the voltage provided by this pin. The testing will start during next week and will be rounded of by the drop test. During next week a simple transmitter circuit will be built including the transmitter, a power switch, antenna and battery. The testing will start of by placing the transmitter in the Lilian wood nearby KTH, the receiver will then be used to try to find the transmitter. I hope to have some more info about the progress of these tests shared to you all during next week.